File and pay your taxes securely in a few clicks without having to go to a government website or transfer your money to a third party. 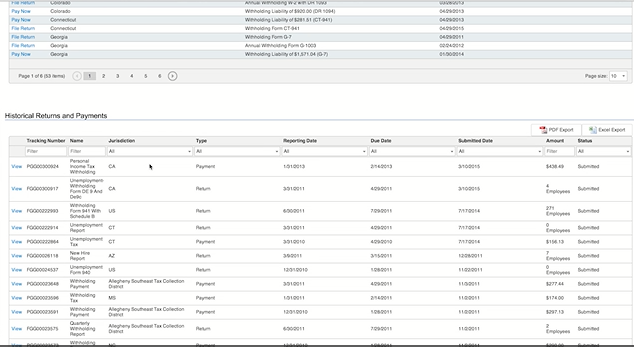 Automatically generate payment and filing deadlines. 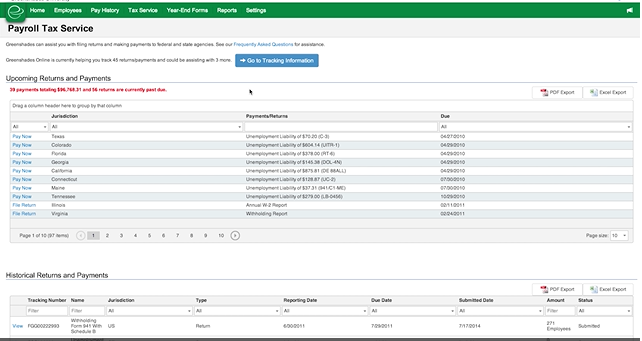 File unemployment, withholding, and new hire returns with only a few clicks. 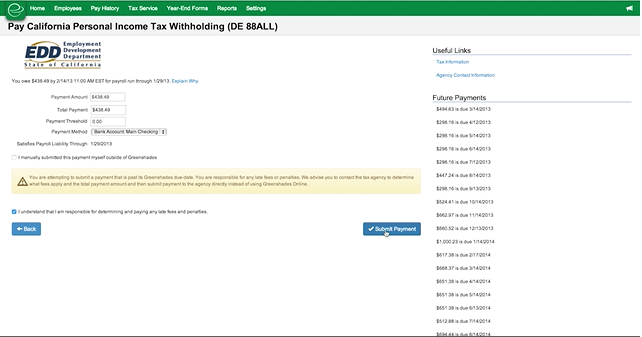 Pay your payroll and unemployment taxes directly to the government with no need for a third party transfer. 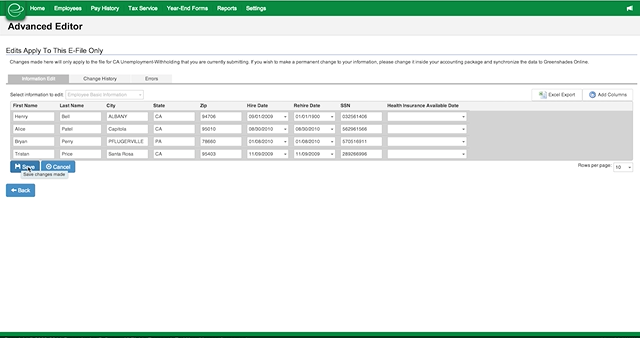 If you need to alter a return or edit a value your accounting package doesn’t support, we make it easy to do so. 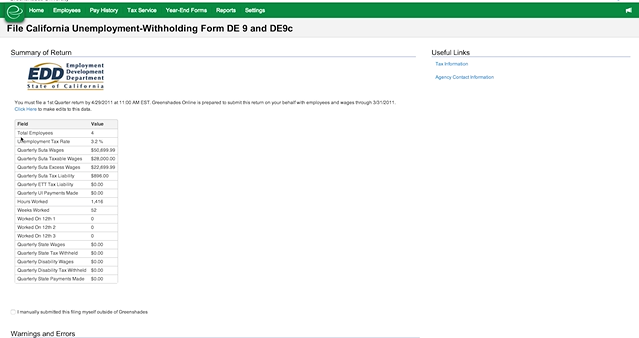 Get totals and confirmation numbers from the government for auditing purposes.